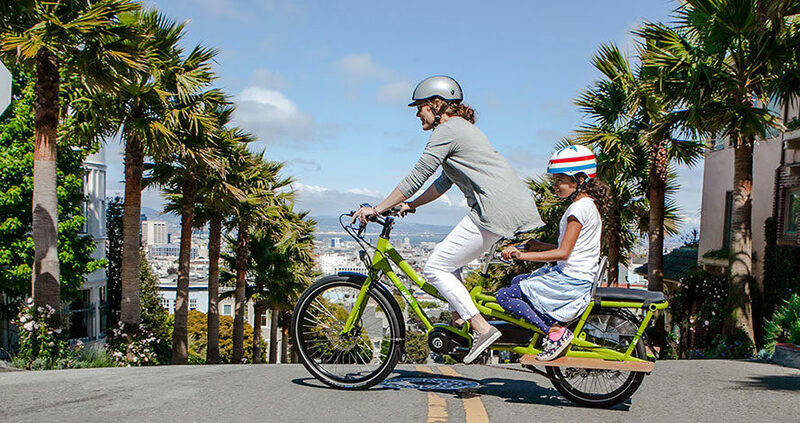 New to the electric cargo bike scene is Yuba’s Spicy Curry bike, a purpose-built electric bike designed for commuting to work, transporting kids, groceries or any cargo up to 300 lbs. Sporting LED lights, hydraulic disc brakes, the dynamic set of wheels can zoom up to twenty miles per hour with a full cargo load. The Spicy Curry was a recipient of the 2015 Gold EUROBIKE Award, and provides riders with an earth-friendly and healthy vehicle substitute without giving up what a car can do. New to the electric cargo bike scene is Yuba's Spicy Curry bike, a purpose-built electric bike designed for commuting to work, transporting kids, groceries or any cargo up to 300 lbs. Sporting LED lights, hydraulic disc brakes, the dynamic set of wheels can zoom up to twenty miles per hour with a full cargo load. The Spicy Curry was a recipient of the 2015 Gold EUROBIKE Award, and provides riders with an earth-friendly and healthy vehicle substitute without giving up what a car can do.